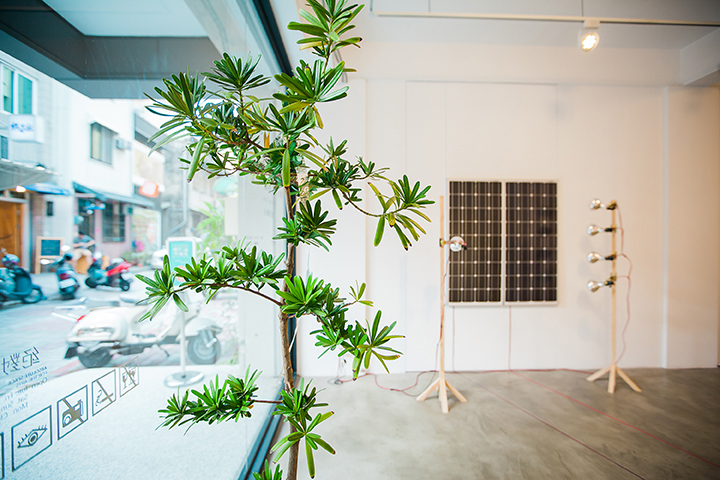 Ecosystem of Objects – Tainan from Kosuke Ikeda on Vimeo. 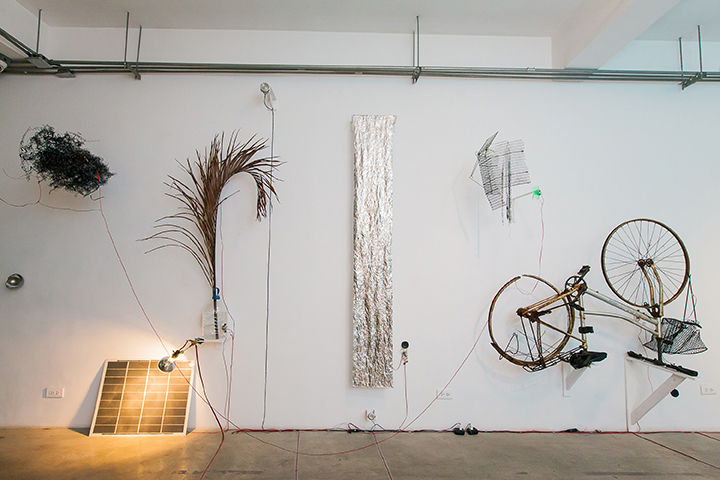 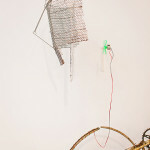 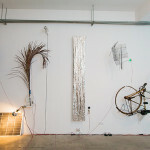 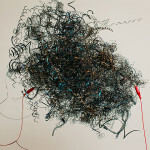 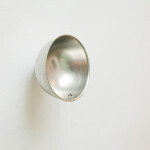 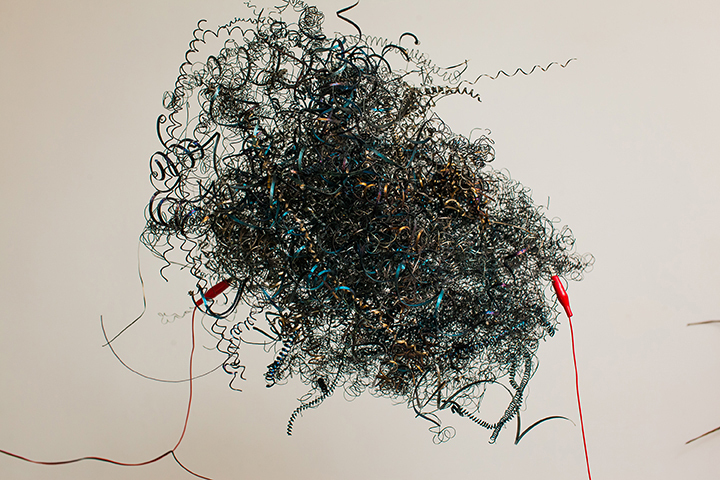 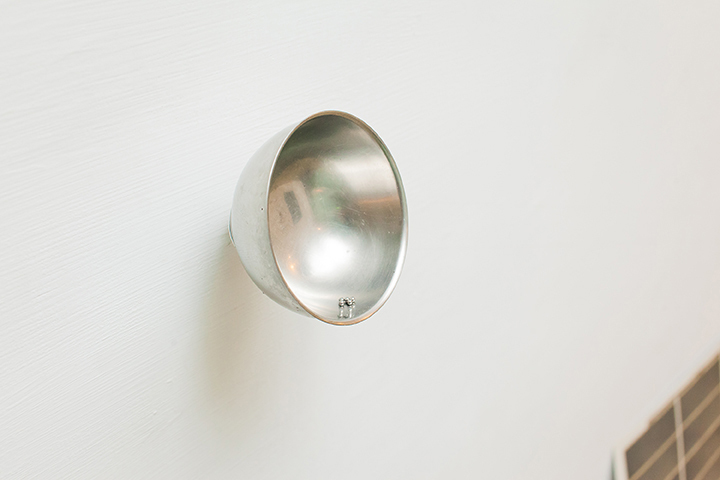 The work involved displaying on a wall objects – including a pane of window glass, a bicycle, a mousetrap, an aluminum sheet, a palm leaf, a tangle of metal wire, and a metal bowl – that I had either found on the street or at flea markets in Tainan or temporarily borrowed. 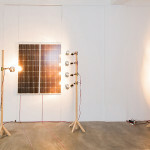 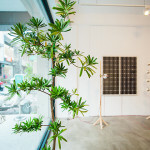 On the wall opposite were installed two solar panels, besides each of which were positioned several large light bulbs. 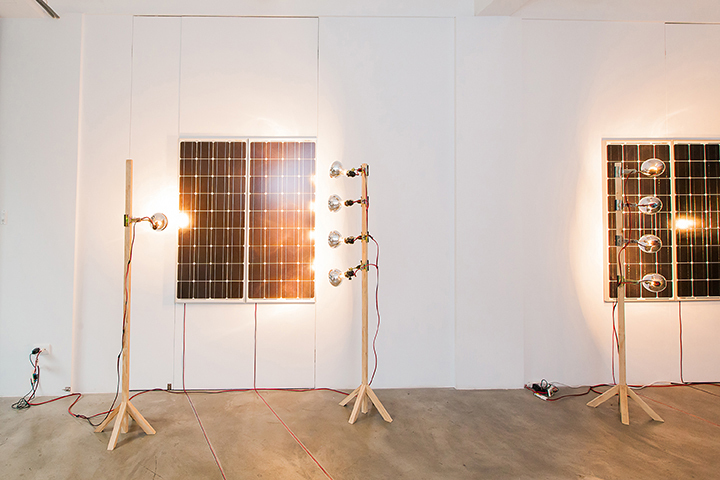 Each of the light bulbs turned on and off repeatedly at a regular pace, with the solar panels producing a minute amount of electricity whenever these light bulbs were illuminated. 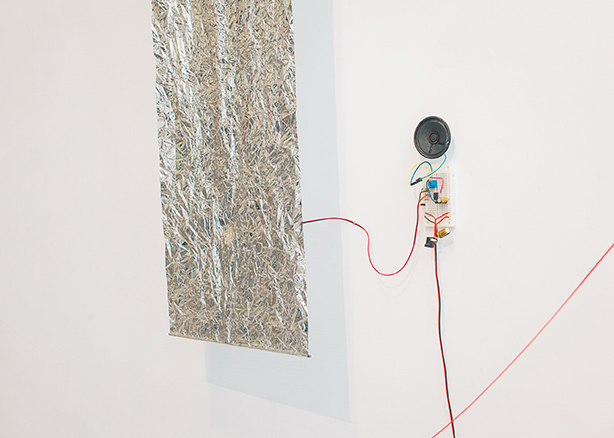 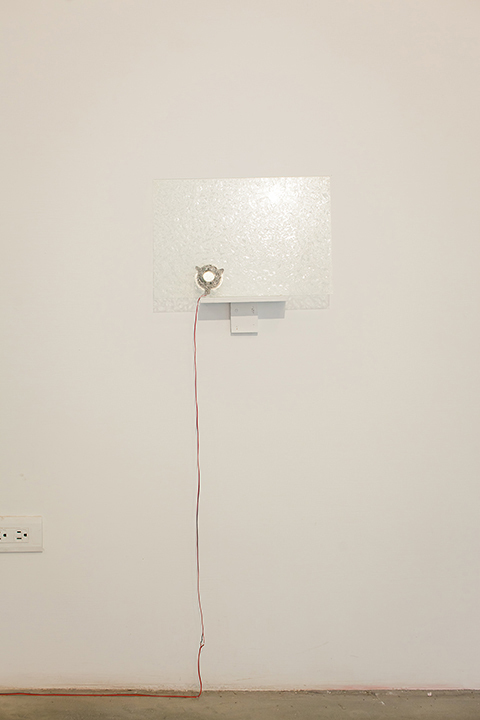 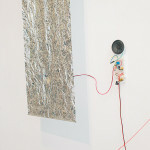 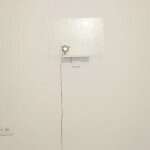 The energy produced was fed via wires to the opposite wall, where small motors and amps caused the objects to move slightly and amplified the sound produced as a result of this movement. 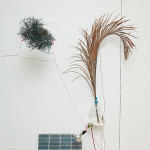 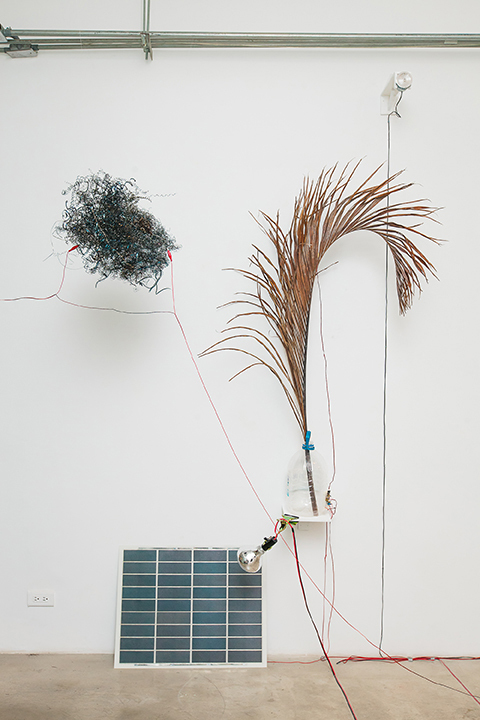 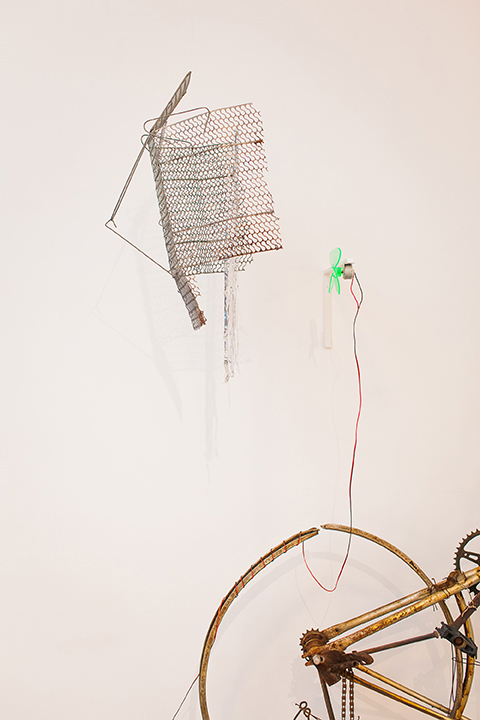 Together, these objects, all of which had a history of some king on the streets of Tainan, made up an “imaginary ecosystem” in the form of a network of energy.